Inspired by dark figures from myths, literature and legends, The Vampire Tarot Deck offers unique tarot interpretations through evocative paintings by French artist Nathalie Hertz. 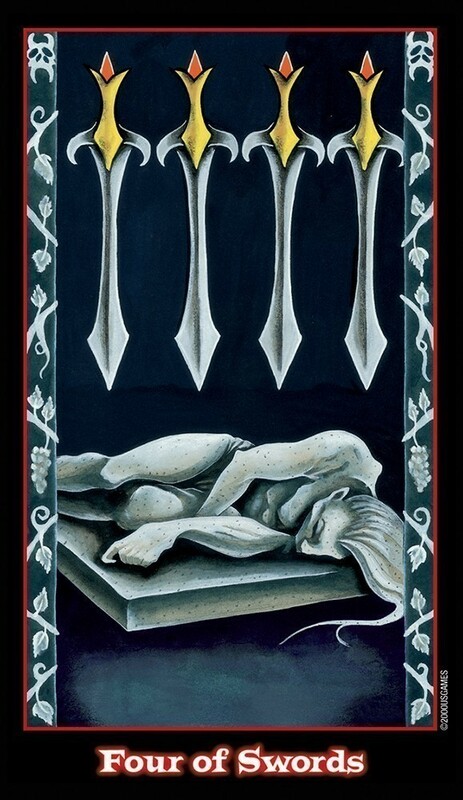 The seductive powers of Vampire Tarot lure the reader toward a mysterious underworld to boldly explore the shadow side of the subconscious. Eerie intentions of the mischievous “undead” are revealed in the exquisite Goth detail of the 78 cards. I own this tarot deck and I fell in love with it. Each card has such character and is poignantly beautiful. I did a reading for a friend with it and she kept commenting on the eyes of the characters. You look at them and they seem to be looking at you. There is something deeply moving about the cards. I would look through them all over and over as each one is a work of art. My favorites were the Sun, the Hermit and the Fool. I adored this deck because it wasn’t all flowers and smiles. It was a bit gothic, striking and different. I wouldn't say it's dark and evil. It's just elaborate and gothic looking. People have long held a fascination with vampires because of their mystique and we all want to know what lurks in the shadows. In this deck, the vampires come out of the shadows. I would be picky with decks and never had much love for the traditional Rider-Waite as I found it "boring". 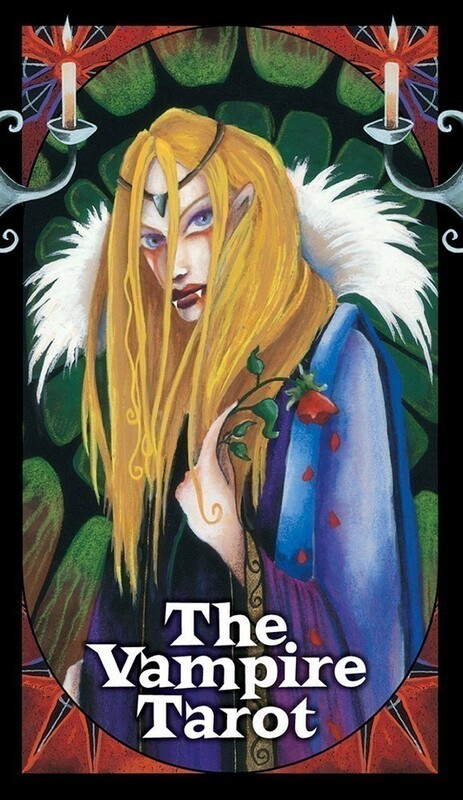 Vampire Tarot is eccentric, alluring and different. I would really recommend it to anyone looking for an individualistic tarot deck. Let the eyes draw you in. I find this deck mesmerizing and accurate. The blood element may freak some people out, but it really isn't as macabre as it seems. 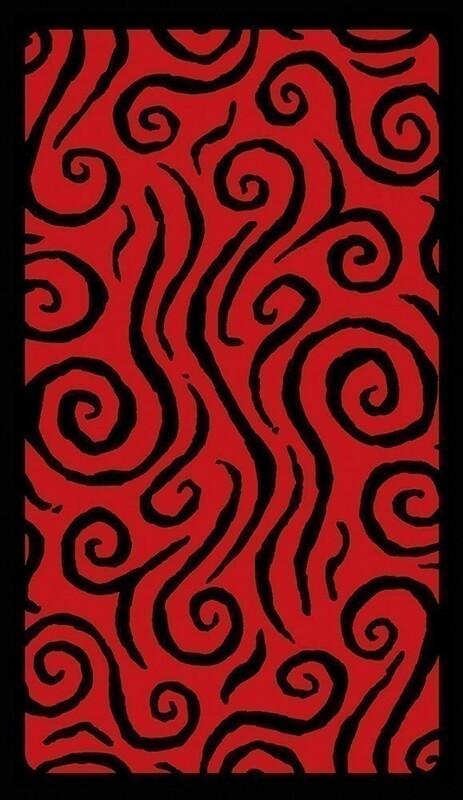 The blood in this case is meant to represent life, so this deck really gets its message across in a different and powerful way. I often take them out just to look at them. True the cards don't have a zillion things happening on them, but I find those kinds of decks taxing and needlessly complex. We aren't stupid, we don't need a thousand tiny details to understand what the cards are telling us. 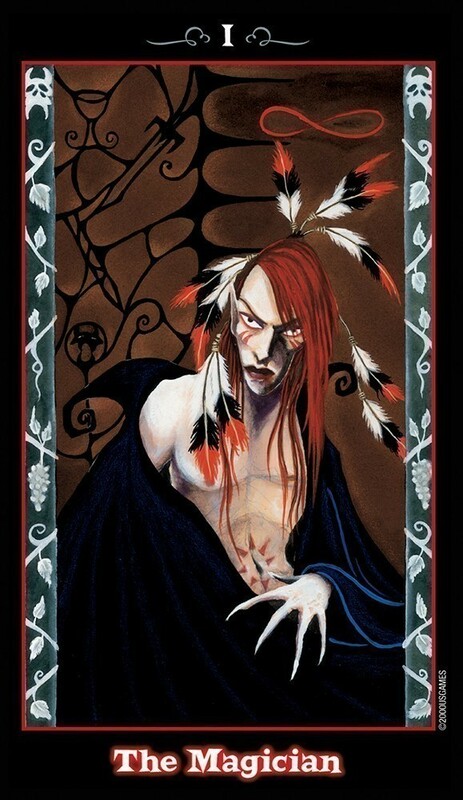 What I really appreciate about the Vampire Tarot is that, unlike so many other decks where the characters are distant and passive, in this deck the characters appear to acknowledge your presence and seem to be active participants in the reading. 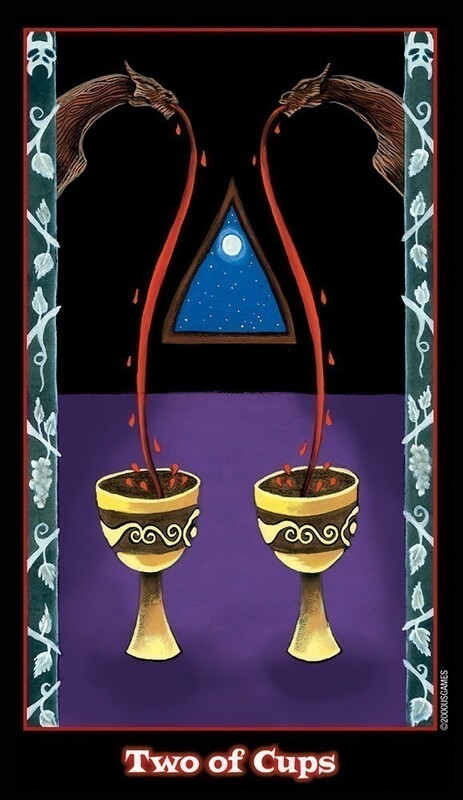 Another great thing about the Vampire Tarot is that the booklet provided with the cards explains the symbolism of the artwork of all 78 cards as well as their upright and reversed meanings. The cards are also very well glossed, and are a very good size to shuffle normally. I highly recommend this deck to anyone ready to graduate from simply reading the cards to really understanding and working with the cards. The pictures are beautiful, scary and completely hypnotic. Anyone who does tarot and does it consistently will agree that some decks have a bit of personality during some readings. This one packs a punch. Brutal honesty, meant to be that snarky advice that snaps you out of your "issues". 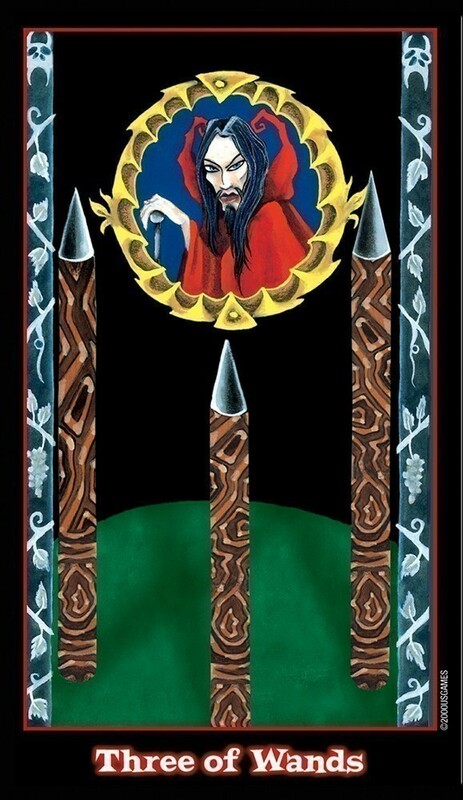 I'm aware that some tarot decks are just lovely pictures, but buy this deck in full confidence if you're looking for a deck that doesn't candy coat it's messages. Other decks are vague and fanciful...this one skips the sweets and right to business. 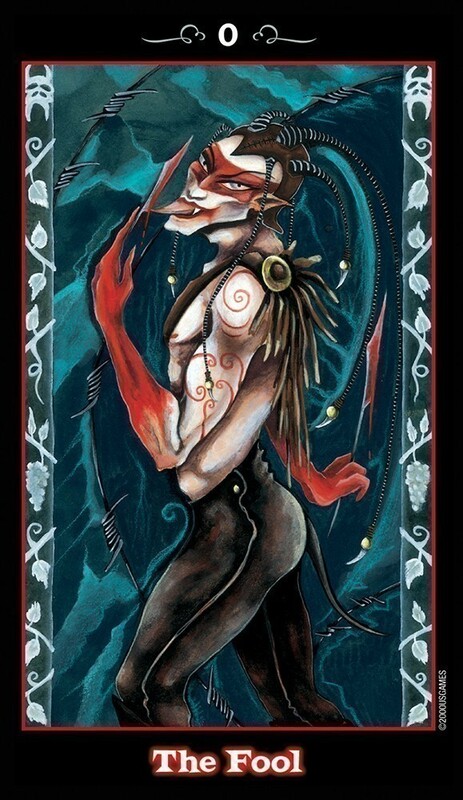 Vampire Tarot is the best tarot deck I own. II have never come upon such an intriguing and inspiring deck. It is my favorite, and I use it constantly. The Vampires have become my friends. I can consult them on anything from the wisdom of a financial venture to the well-being of my family. Of course they don’t always tell me what I want to hear, but they do always tell me what I need to know. For this, I love them. 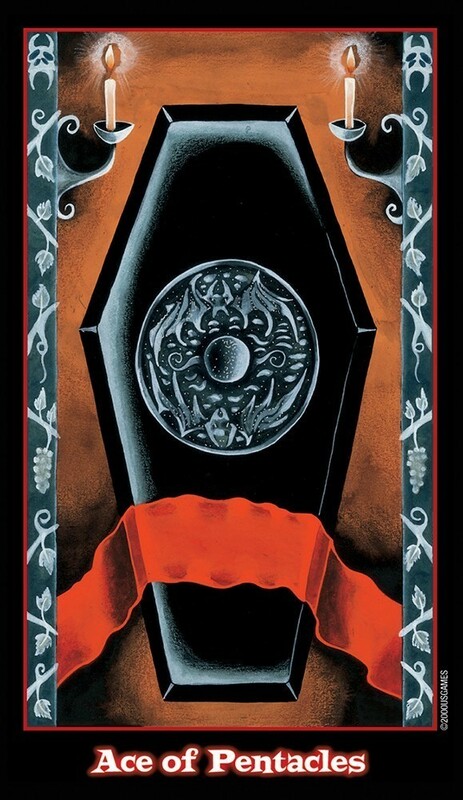 I highly recommend this deck for those who are passionate about dark literary and fantasy figures such as vampires. Those who are intrigued by the unusual and the visually beautiful will also find this deck very appealing. I purchased this deck on a whim because the beautiful artwork was completely irresistible. Hertz's dark and brooding but beautiful characters HAD to come home with me, though I doubted I would ever use this deck in a reading. After examining it further, however, I am quite pleased with my spontaneous buy. It seems to be a rather accurate, if sometimes humorously gruesome deck. Many of the cards in this deck draw on familiar images from standard decks such as the Rider-Waite, yet still hold their own in artistic expression. The High Priestess, for example, has on her familiar Hathor-like crown of glory, but it is formed from her hair, seeming to indicate this position is from her own achievement, not one bestowed upon her. The Strength card depicts a woman with her typical enormous feline companion, but it is the woman who is wild and needs taming. This deck is not only for the eyes, however. Since we all have dark sides, and skeletons in our closets, this may be the perfect deck to use when confronting difficult and dark issues. While the Justice card in most decks is righteous, honorable and regal, the Justice in this deck scares the bejeebers out of me! But perhaps that is the point. The whole theme of this deck is a look into the darker world, the world of Vampires. If I, or someone I loved, were threatened in any way, you'd bet I could become the Justice depicted here. She conveys a power and fierce strength that few people are willing to acknowledge they have. And though the pictures in this deck deal with the most base of human issues - survival - there is an honesty about Nathalie's creatures that many of us have lost. They are unashamedly themselves, with no apologies offered. Taking a step into the world of Natalie Hertz's vampires could oddly enough reveal a more human you.